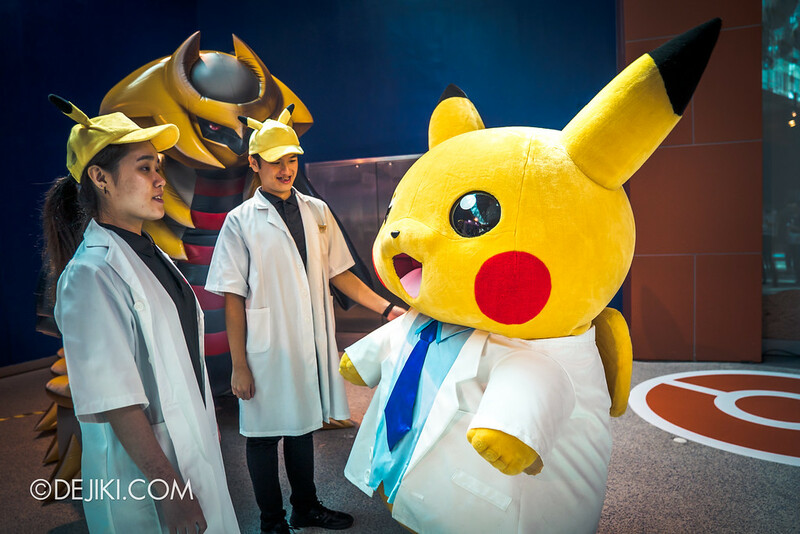 Pokémon Research Exhibition was held in various parts of Japan from last year, under the name ポケモン研究所 (Pokémon Research Institute). Its overseas debut in Singapore is also the first time the activities are presented completely in English (with select menus in Chinese). 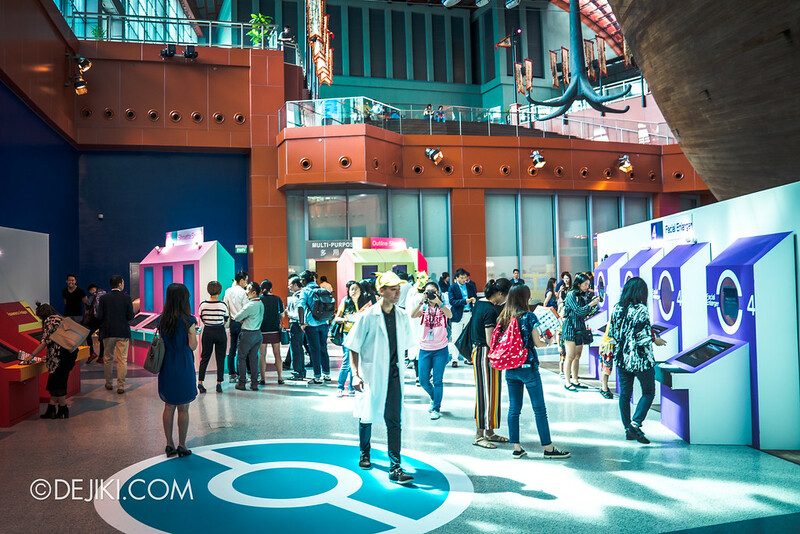 Located at the exit gallery of S.E.A Aquarium, the Pokémon Research Exhibition surrounds the gigantic Bao Chuan ship. Admission to the exhibition is not included in the standard Aquarium Admission (scroll down for more info on this). 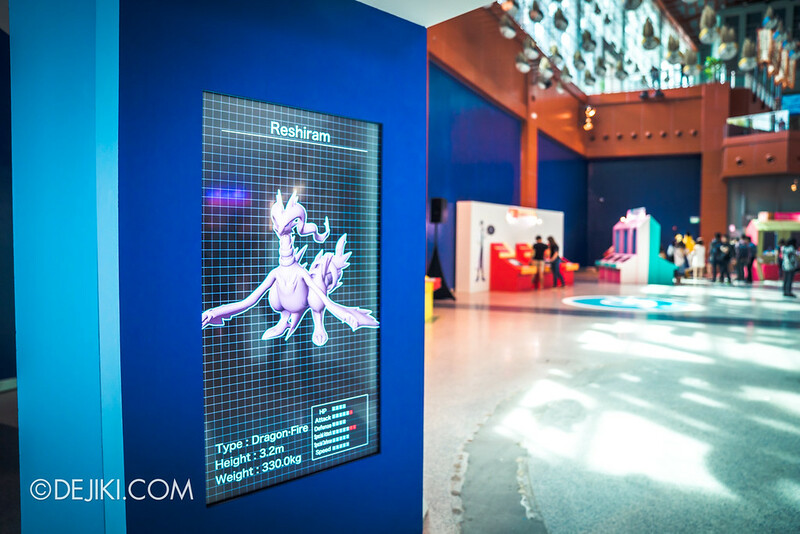 Think of it as the ultimate Pokémon quiz in the form of an interactive exhibition. You grab a Poké Ball with a mystery Pokémon inside and have to use various ‘research machines’ to guess what it is. 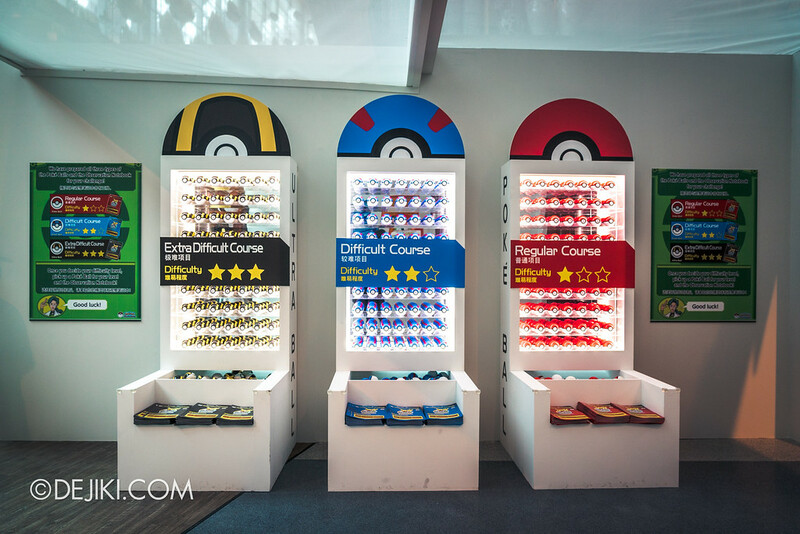 There are three levels of difficulty – obviously the red one is the easiest, followed by the Great Ball (blue) and Ultra Ball (yellow and black). 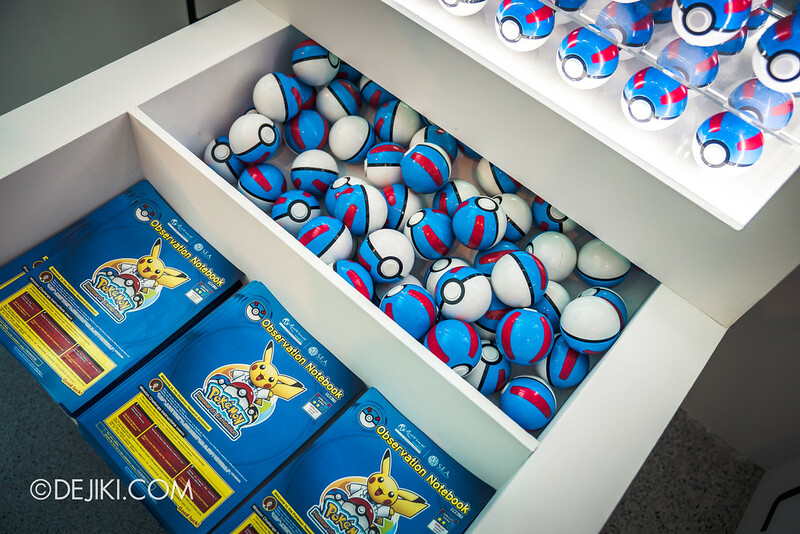 Note: The Poké Balls are for use within the exhibition only and must be returned at the end. No stealing! Also, take an ‘observation notebook’ leaflet to note down the clues gathered from the machines. The easiest course isn’t too difficult and often you can get the right answer with two machines or less. 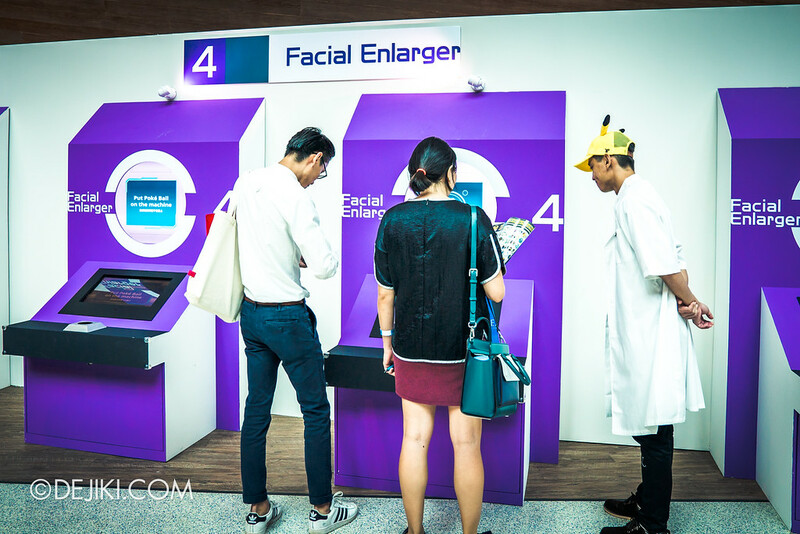 Once inside the exhibition you can freely roam around to see the displays and various machines. 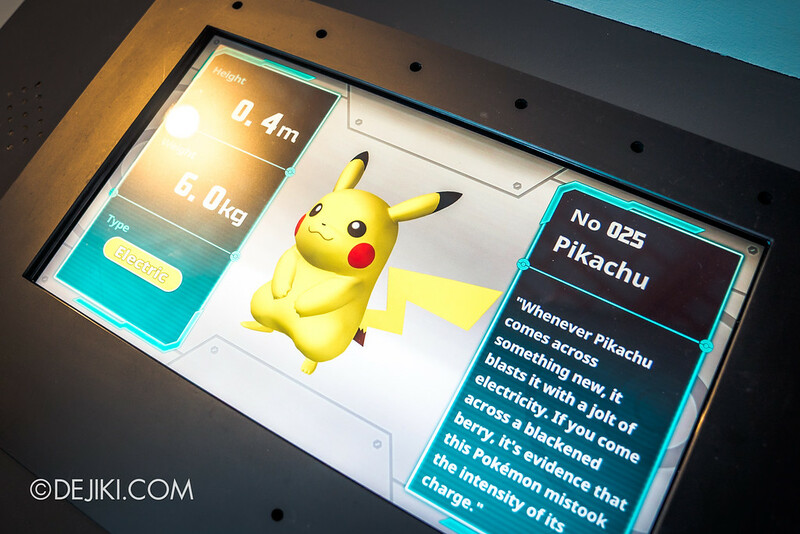 There are 8 types of machines to conduct research, but you can only pick any 4 to analyse the Poké Ball. Once you put a Ball into the slot, it counts as you have ‘used’ up one of the 4. You cannot repeat the same machine again. So make sure you scribble down notes to your leaflet. 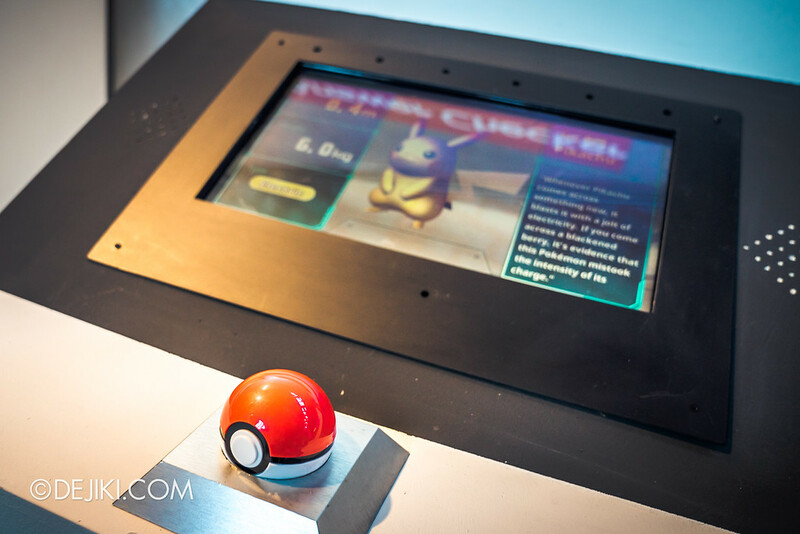 Place your Poké Ball in the slot at a research station to start the research mini-games. Reveal the footprint of the Pokémon (if any). Do take note of how many claws/ toes are in the footprint! 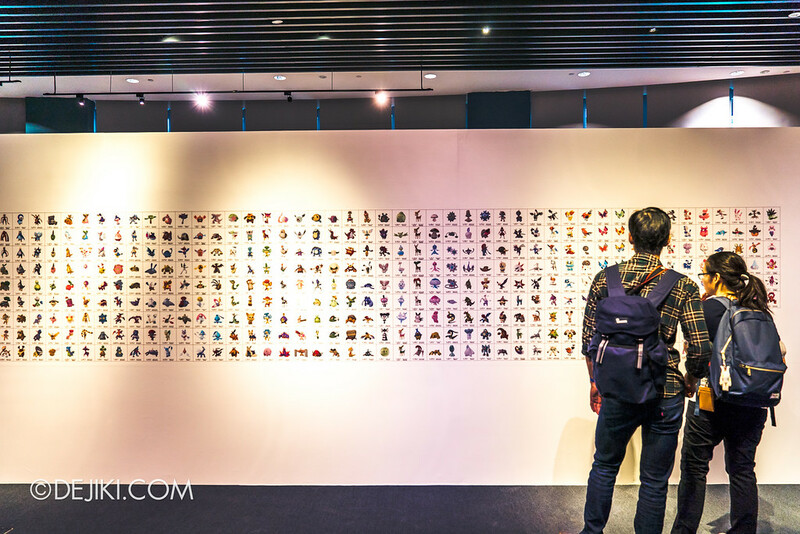 Reveal the silhouette of the Pokémon as seen from above. 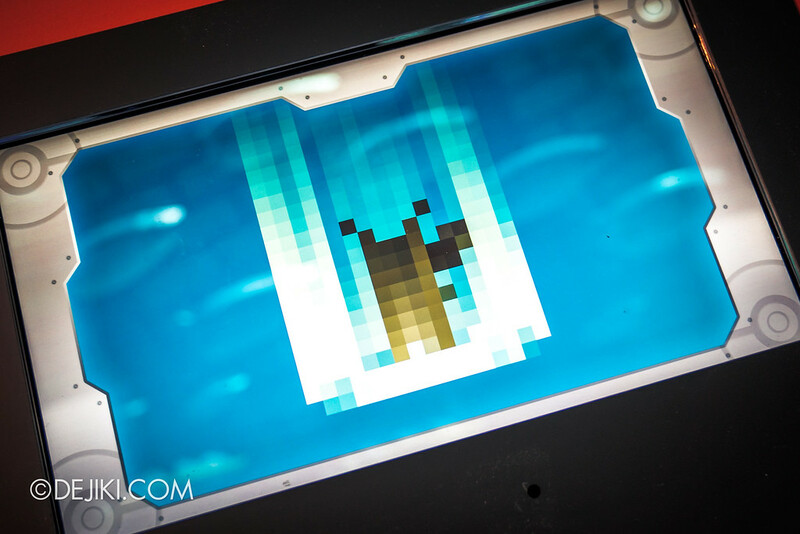 Try to imagine what the Pokémon looks like from the front using the top silhouette! 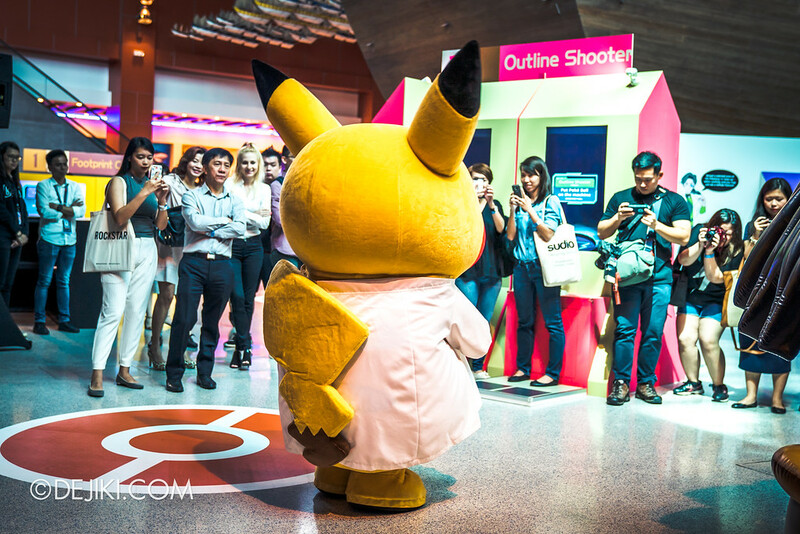 Reveal the Pokémon’s outline seen from the front – you need to step on the board more to see more! 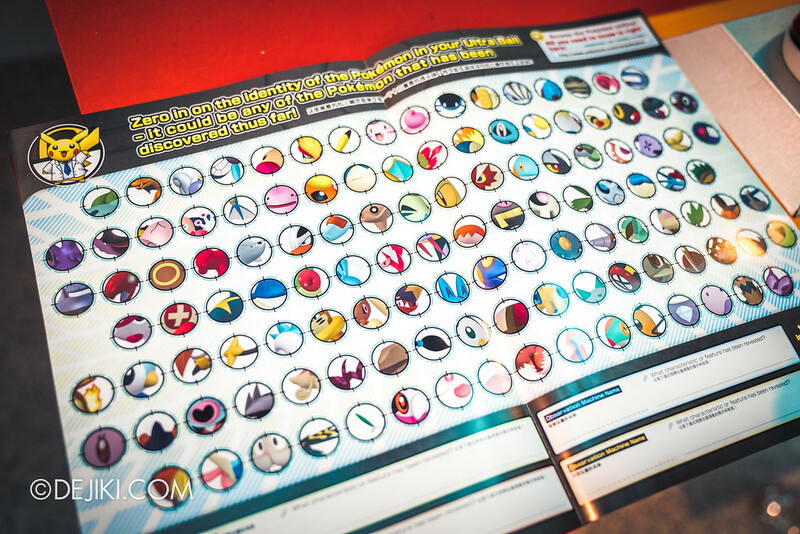 Reveal a selected area of the Pokémon in close-up – select carefully and you may just see a telltale feature! 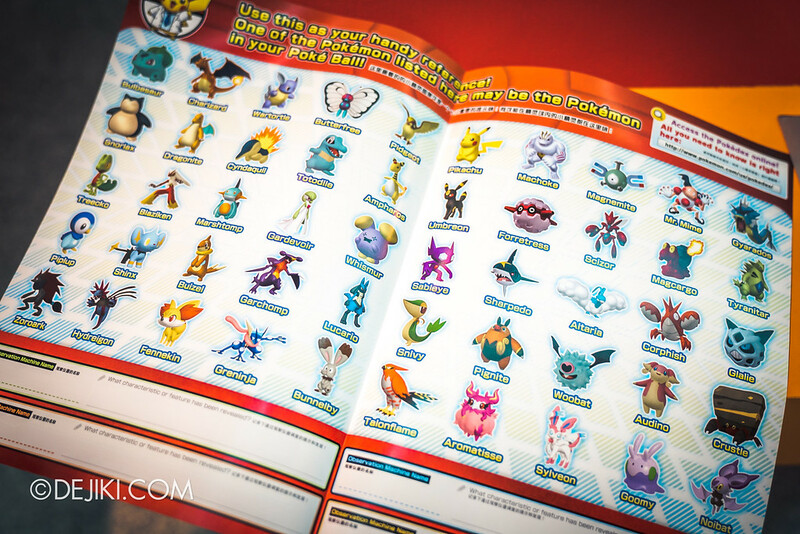 Reveal the height of the Pokémon, which you can then cross-reference on the Pokédex! Reveal the weight of the Pokémon, which you can then cross-reference on the Pokédex! Description of the Pokémon’s characteristics like colour, shape and other distinguishing features. Listen to the cry of the Pokémon – if your Pokémon has a unique cry, this will help you identify it! Some stations are quite interactive and would require rhythm and speed! Once you’re done, head to the GOAL – Answer Checker station to check if your guess is correct. The answer will be displayed immediately. Once you’re done, you have to return the Poké Ball at the exit. 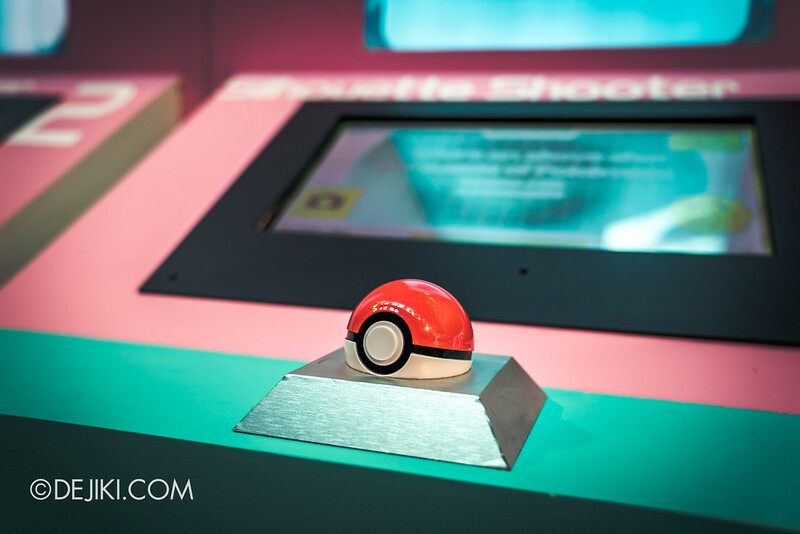 If you wish to play again, you would need to re-enter the exhibition and collect a new Poké Ball at the start. There is a $5 fee for every replay. 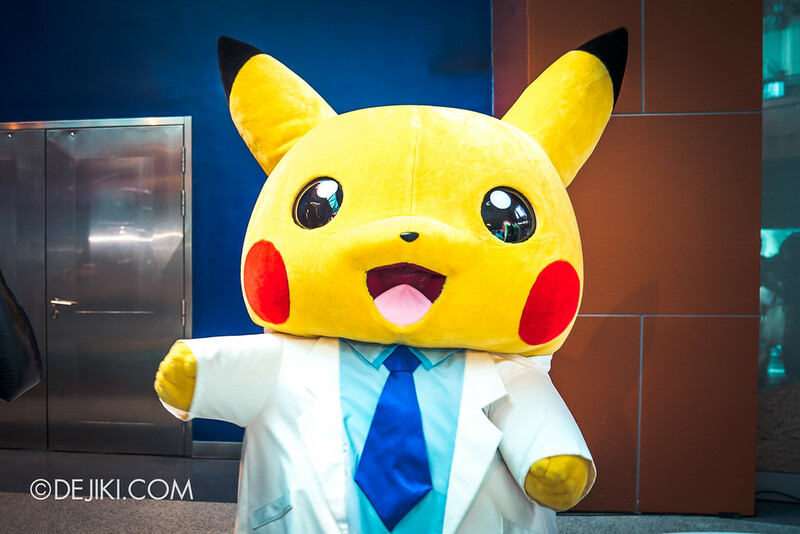 Research Head Prof. Pikachu will make several appearances at the Aquarium. Please make sure your reports are in good order. Did they all come here to meet me? 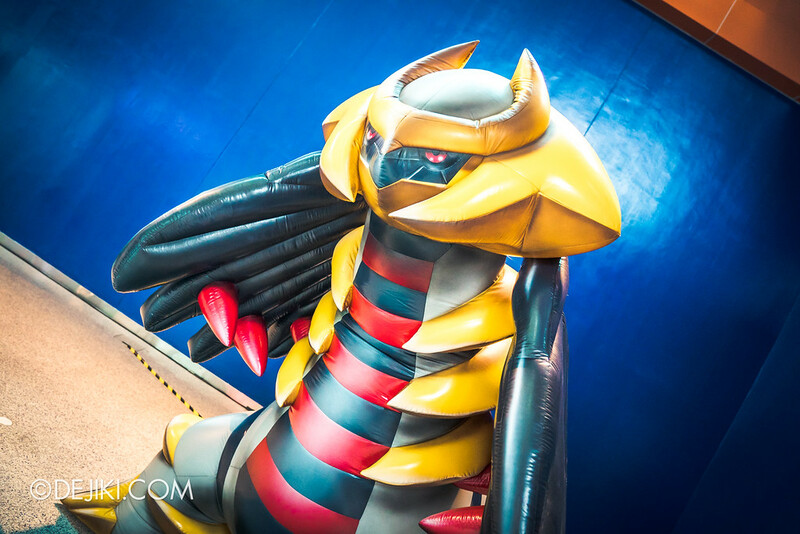 You can also snap photos of Giratina (Legendary Pokémon from Pokémon Platinum) and the starters from the Second-generation games. 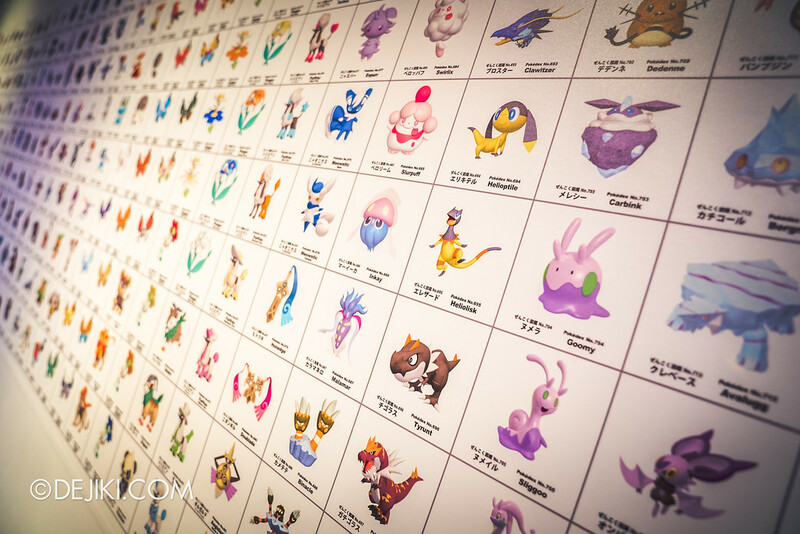 The Pokédex wall displays more than 700 Pokémon from the video games released so far, close to what S.E.A. Aquarium is said to house (over 800 species). 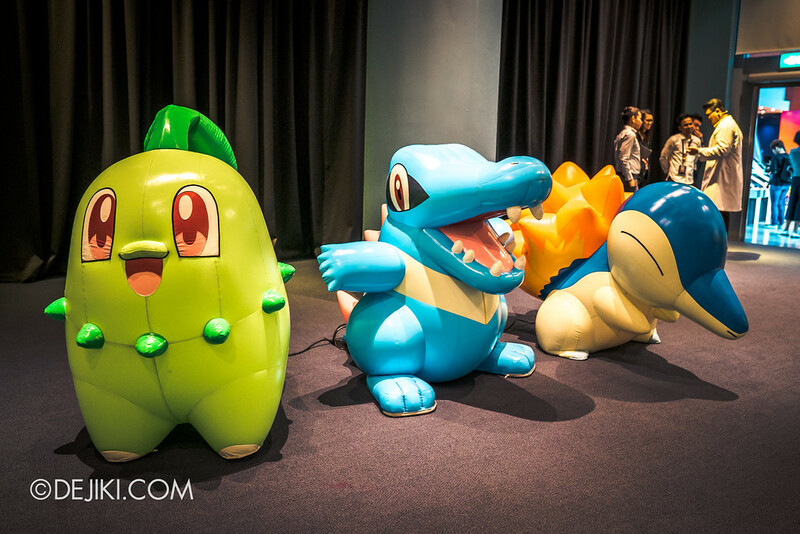 Pokémon Merchandise will be sold at the exhibition, and the shop is expected to be ready from Mid November. We’ll update this post when they arrive, or if they arrive earlier. 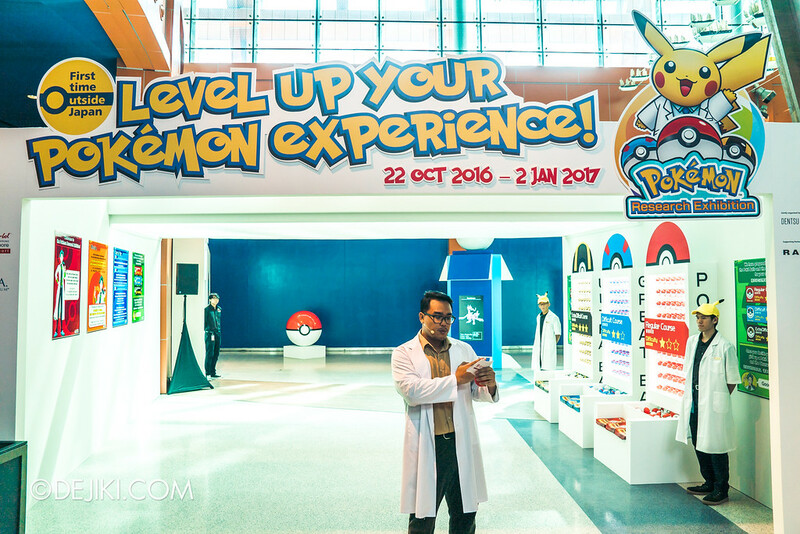 This attraction will definitely raise some eyebrows – what has Pokémon got to do with S.E.A. Aquarium? Well, probably not much – although… there’s Water-type Pokémon. Ah anyway – Both attractions offer ‘experiential learning’ (to some extent), except this one is based on video games and thus obviously features imaginary creatures. 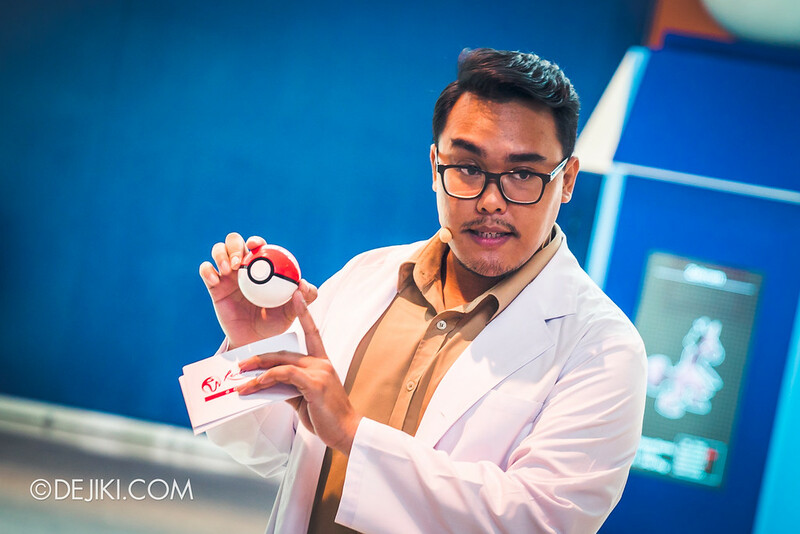 The minigames are fun – so fans and kids will definitely enjoy a different experience holding the real Poké Ball like a trainer or a serious researcher, even though only some of the machines provide useful clues. 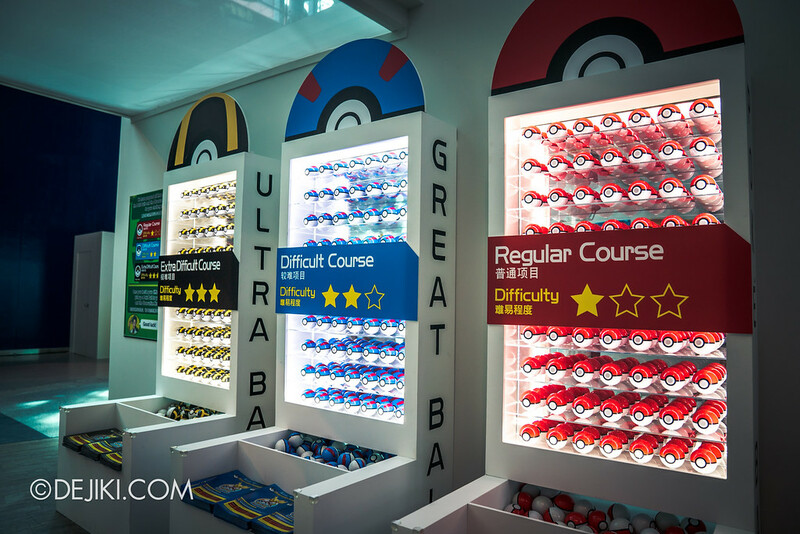 There is also a big jump in difficulty between the Difficult and Very Difficult (Ultra Ball) courses. Just take a look at the observation notebook. Clearly, for the ultimate fans only. 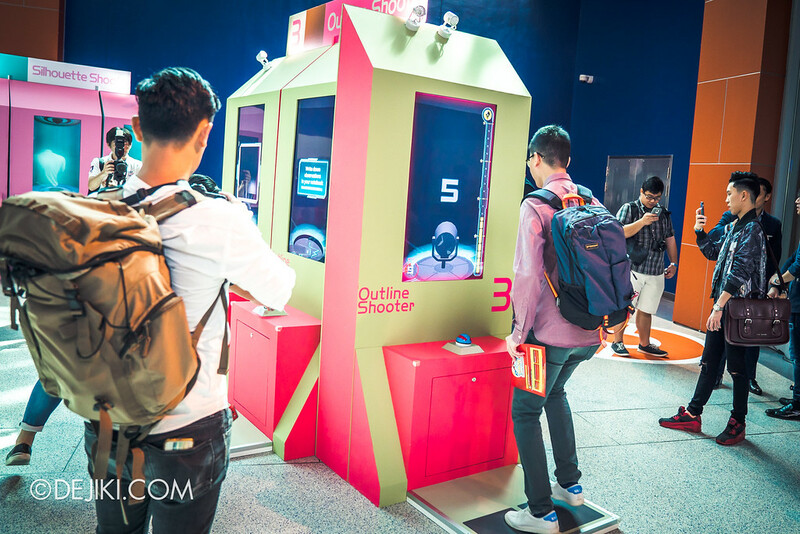 There is no ‘time limit’ but each entry allows you to pick one Poké Ball and interact with 4 machines, hence the experience can be over quite quickly. 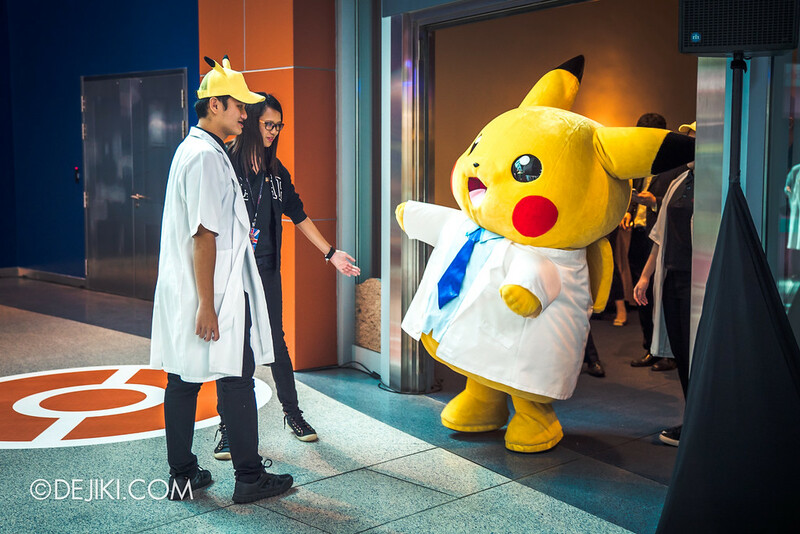 Treasure the precious moments inside Professor Pikachu’s lab! The exhibition is likely brought in to help boost the Aquarium’s year-end attendance numbers, especially with the membership sign-ups since unlimited entries to this exhibition is part of the perks. A lot of people are still crazy over Pokémon GO – will the park be adding tons of lures or special spawns here? Who knows. If you already plan to visit the S.E.A. Aquarium, then I’d suggest getting the add-on to try this experience. It can be a fun way to end your tour of the Aquarium. Otherwise, unless you’re a die-hard fan, you don’t need to make a trip down specially for this exhibition. The S.E.A. Aquarium offers so much more and should be the main reason for your visit. S.E.A. Aquarium Admission and a supplement are required to enter this exhibition. The price for the Pokémon add-on varies, depending if you are buying onsite as standalone purchase ($8) or bundle it with the S.E.A. Aquarium Admission ($6). Genting Rewards Members, RWS Invites/ Invites Attractions Members can enjoy a discounted rate of $5 for the add-on. RWS is holding an Online Exclusive Promotion where the S.EA. 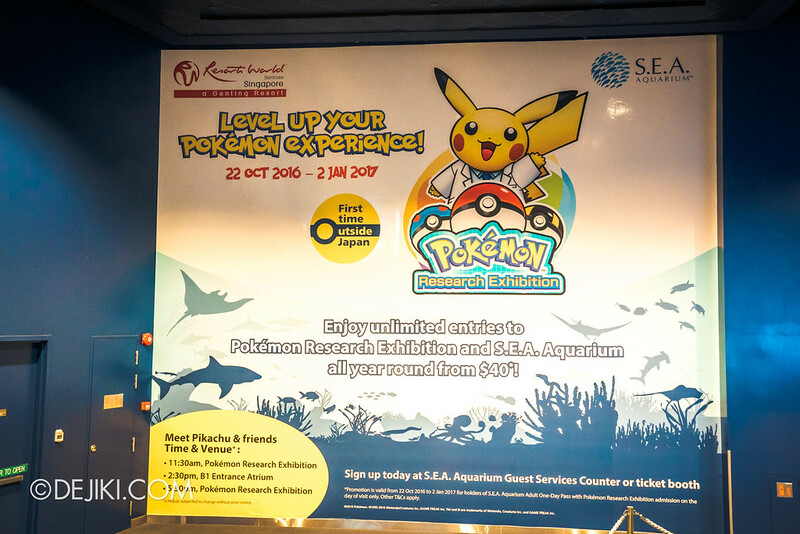 Aquarium + Pokémon Research Exhibition bundle is offered with a $5 retail voucher (min. spend of $30 to use) for $35 per adult, and $23 per child or senior. 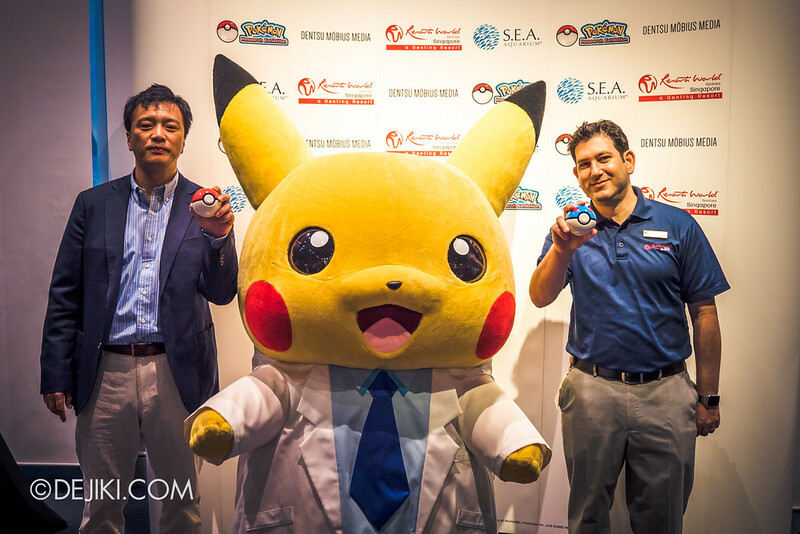 For more information visit the RWS Pokémon Research Exhibition website.